Hey pretty gals. Today I’m going to talk about the current moisturiser that I have been using for a couple of weeks. As you all know, hydration is the key to a healthy and glowy skin and no matter what type of skin you have, moisturising and hydrating your skin is super important. I used to despise moisturisers years ago when I had oily skin but lo and behold, keeping your skin moisturised and hydrated are what will balance your oil production. Now I no longer have oily skin! 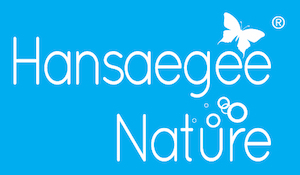 I was so excited to try the Aqua Whitening Cream by Hansaegee Nature that once it arrived at my doorstep, I immediately took a shower and did my skincare routine. Basically, the Aqua Whitening Cream is a watery gel type moisturiser that will suit every type of skin. It comes in a 50ml jar for RM148.30. This product is originally made in Korea so you know it will suit our Asian skin and weather. Anyone who has oily skin, dry skin, redness/sunburn skin, sensitive/acne skin, wrinkles, uneven skin, and combination skin that needs a day and night moisturiser in just one tub. I have a combination skin with oily T-zone that is super sensitive and redness is officially my best friend so I need all the anti-redness product I can get. After my serum, I dot the product on five area of my face; the forehead, both of my cheeks, nose, and chin. The product melt into your skin like butter on a hot pan which I love because that means I don’t have to use so much pressure to rub the moisturiser all over my face or I would end up with a red and angry skin. It leaves my skin with water droplets that I enjoy massaging further until everything is absorbed. After about 30 seconds, I continue with my sunscreen. For muslim girls who can pray, I remove my makeup/sunscreen with the Simple Micellar Water, use the Aqua Whitening Cream, and top it off with sunscreen so I always have these 3 products in my makeup bag when I go to work. *It is great under makeup — this moisturiser is not greasy at all so my makeup looks great all day. One time I wore my makeup the whole day and at the end of the day my skin still looked like I’ve just put on makeup! *It does not break me out — having sensitive skin, I am prone to getting closed comedones on my forehead and cheeks if I’m reacting badly to a product and this product does not do that to me. *My mum and sister likes it — I test the moisturiser on my mum and my sister as we all have different skin types. None of us have breakouts or closed comedones and we all wake up with a smooth skin. *It contains Niacinamide — ever since I start using The Ordinary Niacinamide serum which is my skin saviour, I love any products that contain it. Niacinamide is the top 5 ingredient in this moisturiser so I knew it’s going to work on my skin. *Melts into the skin — like I’ve mentioned, when you have skin that is prone to redness, you would want a product that does not need extra pressure for application. I can light-handedly rub it and tap it gently into my skin. I really enjoy using this moisturiser! The product itself is a watery gel that melts with the heat of your finger. I know I mentioned many times already that it melts into the skin because it really does melt! I love it. I love it a lot.